Gateway ONA now offers year-round online t-shirt sales! 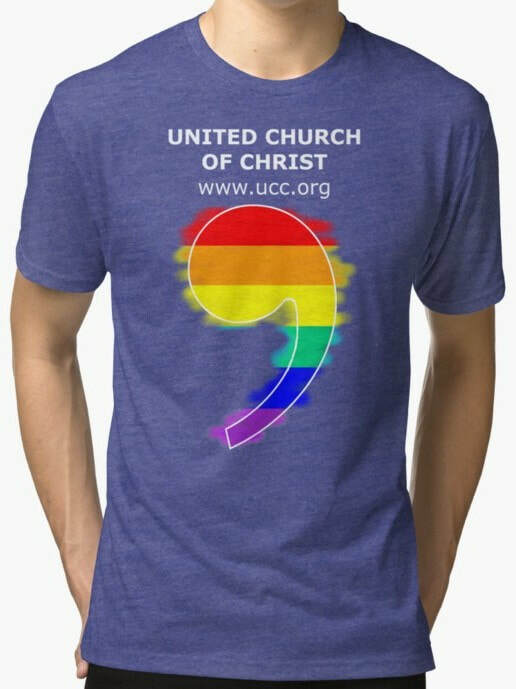 We have a RedBubble account where you can order the classic rainbow comma logo, or the UCC's new "3 Great Loves" rainbow comma logo. Standard shipping is 5-9 days, the products are delivered straight to your home, and we have all sorts of shirt styles as well as mugs and other items! We are selling the shirts at cost, so Gateway ONA makes no profit on them. You pay only for your shirt and its shipping cost. Due to limitations in Redbubble's interface, some of the shirt styles allow you to select white or grey background colors. We ask that you choose a "rainbow" color as the background color of your shirt. This is both so that the white writing on the shirt is readable, and so that we look colorful in the PrideFest parade. Thank you, and please contact us if you have any questions or concerns. Thank you for attending our 2019 Convocation, it was a wonderful event! Check out photos of the day here. 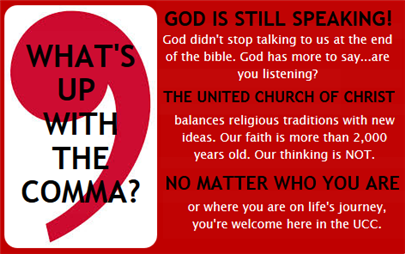 The United Church of Christ (UCC) is a distinct and diverse community of Christians that come together as one church to join faith and action. We believe in a God that is still speaking, a God that is all-loving and inclusive. We are a church that welcomes and accepts everyone as they are, where your mind is nourished as much as your soul. Our faith is over 2,000 years old...our thinking is NOT. 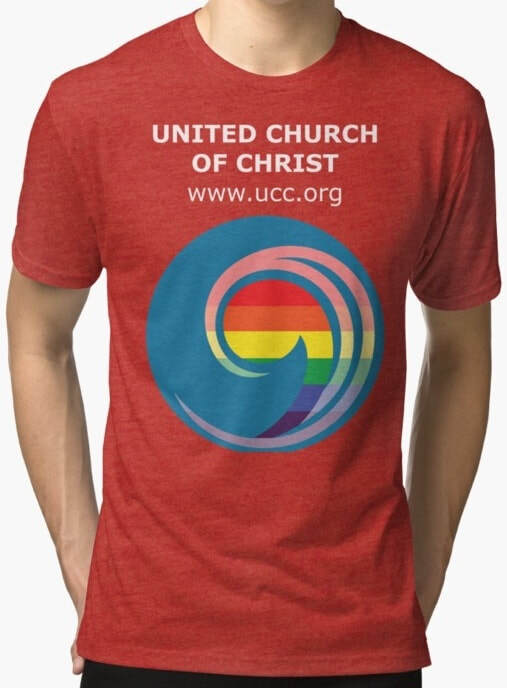 To say that a UCC church is “Open and Affirming” means that it has publicly and specifically declared that those of all sexual orientations, gender identities, and gender expressions (LGBTQ) are welcome in its full life and ministry. ONA congregations offer a spirit of hospitality and show a willingness to live out that extravagant welcome in meaningful ways. 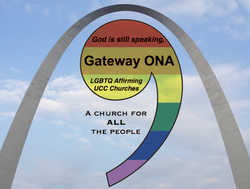 Gateway ONA is a coalition of LGBTQ Open & Affirming congregations of the United Church of Christ (UCC) in the St. Louis area. We provide support to our member churches, run a resource hotline, host annual events to educate on LGBT issues and have a presence at PRIDE.